Most investors are familiar with the edict to focus on time in the market rather than timing the market, and property leader, Philip Ryan can prove the value of this philosophy. The Trilogy Funds managing director and co-founder sat down with the Nest Egg podcast team in Brisbane recently to discuss his strategies for reading the economy and delivering consistent returns. And how savvy investors can gain exposure to booming property sectors. Thanks, Philip, for letting the Nest Egg podcast team visit you in Brisbane! You can stay up-to-date with Philip and Trilogy here. David Stratford: On the road again. Alex Whitlock: On the road, indeed. Beautiful day, clear blue sky. We're coming to Brisbane to catch up with a gentleman called Phil Ryan, who is a managing director of Trilogy Funds Management. We thought it would be good to really give listeners a bit of an insight into how trusts -- property and mortgage trusts -- can be a pretty important part of a portfolio. And also just to really give people a bit of an insight into how they work, and just a bit of a view of where they might sit in terms of a risk profile. You're an investor, Dave, and I know you dabble in various areas. Have you tapped into property trusts yet? David Stratford: I want to get into it, because I think there's a good level of stability in there as well, for your investment. I'm a bit more bullish, I think, at this stage. Alex Whitlock: I've invested in residential property for a long time, and I'm a big believer in it, but ... My son, who is 20, he's just sort of going into his investment cycle, and one of the obstacles he faces as a young, sort of, would-be property investor, is obviously that huge barrier to entry, in terms of the amount of capital. It's probably a good point to formally sort of introduce Phil. Phil? How are you going, thanks for joining us. Phil Ryan: Thanks very much, Alex. Alex Whitlock: Just to give our listeners a bit of an overview of sort of what Trilogy does. I've sort of done my best to give it a bit of an introduction. Can you just give us a bit of a view of what sort of areas your trusts invest into, and how they're structured? Phil Ryan: Yeah, sure, Alex. That's a good question, and to follow your intro, we do invest in a variety of different property, and also income, trusts. Phil Ryan: Our primary goal is to deliver income, and to do that, we have mortgage trusts, cash trusts, and also different property trusts. Now, in each of those trusts, members of the public, investors through financial planners, and also other more sophisticated investors, such as wholesale clients and also institutional clients, can together pool their money, and from that purchase a commercial building, or lend money out to different property developers, et cetera, in the mortgage trusts. Alex Whitlock: Okay, 'cause I ... For the vast bulk of investors, going outright and purchasing commercial property is pretty inhibitive. Phil Ryan: That's right. It's a big barrier to entry, as you highlighted before. Phil Ryan: So most people can't do it. And you tend to find, in the SMSF space, that that's an area where people will buy property, but they're limited by size. So you tend to find, even with the large SMSF players, that they will buy property up to around $5 million, but they don't have the ability to go and purchase any more expensive property. And you find, in the more expensive property, that you get better diversity of tenants. You're likely to get a better quality style of tenants, as well. And as a result, your security would be in a better place. Phil Ryan: Yes, it is. Alex Whitlock: ... it doesn't go up and down as one. Just in terms of, does residential and commercial tend to correlate, in terms of their fluctuations? Or are they sort of independent of each other? Phil Ryan: Well, they are roughly correlated. Phil Ryan: At the end of the day, when you look at residential, and you look at commercial property, there's a correlation there with interest rates. Alex Whitlock: Yes, of course. Phil Ryan: And so, you tend to find that both of them work well when interest rates are low. Phil Ryan: But, of course, when interest rates are high, they will both be adversely affected. Having said that, they do work in slightly different cycles. I mean, you look at residential, Sydney and Melbourne is actually in a different cycle to Brisbane, as against Perth, for example, as well. Phil Ryan: And that's just symptomatic of different issues, such as employment growth, and also other issues such as population growth in those areas, too. Alex Whitlock: Okay. And just, again, I think it would be valuable to get a bit of an insight as to what sort of assets might fall into these particular funds. I think we've all got a pretty clear idea of what residential is. Can you just give us a bit of a sort of parameter of what kind of assets would go into that kind of fund? Phil Ryan: In the mortgage fund, we lend on around 50 different property projects at any one time. Phil Ryan: So, we achieve diversification by lending in different areas in each state. Typically, at the moment, it's in Queensland and New South Wales, but we lend in areas where we perceive that there's opportunity for growth in those sectors. Alex Whitlock: And a high return, also, correspondingly, yeah. Phil Ryan: Yeah, there's a development and construction risk. Well, that's the interesting thing, is if you look at our rate of return, pre-GFC, versus our rate of return now, it's roughly the same. Phil Ryan: So, in that time, we've seen official cash rates absolutely plummet through the GFC, down to 1.5%. David Stratford: So, to be in that era, as well, and have that historic data behind it, as a company. David Stratford: That's huge, that's a huge value. Phil Ryan: Well, it's interesting, 'cause people think, "Well, why are you paying ..." We pay, for example, at the moment, 8% interest rate, which is paid per annum -- is calculated per annum, but paid monthly, into investors' accounts. And people think, "Well, why are you able to pay that now, when interest rates, the official cash rate is so low, at 1.5%?" Alex Whitlock: It's very, very tight. Phil Ryan: Yeah, there's actually a liquidity squeeze, in terms of construction development funding. And as a result of that, we're able to continue to pay these rates of return, which we've been paying consistently, now, for over 10 years. Alex Whitlock: Fascinating. Phil, it would be also quite ... So, I know, just from our sort of brief catch-up prior, there are three -- in terms of property -- there are three sort of fundamental areas: residential, commercial, and also industrial. Alex Whitlock: If you'd just give us a bit of -- for our listeners -- a bit of an insight into what sort of constitutes "commercial," in terms of property? Phil Ryan: We're interested in all sectors. I guess, just to take your question a step further, I also look at -- from a personal point of view -- areas which I think are a little bit suspect at the moment. Phil Ryan: For example, when we look at areas where we'll invest in, in our property trust, we look at it, I guess, effectively, from a top-down approach. So, we will look at sectors where we want to be involved. And a sector where we probably don't want to be involved are things like petrol stations, I think there's an issue for that in the future. And also, retail shopping centres, large-scale retail shopping centres. Alex Whitlock: And those leases, of course, tend to be, they tend to escalate over a period of time. And it's locked in the contract. Phil Ryan: That's right. The good thing with commercial property leases, generally, is that the tenant pays all the outgoings. Phil Ryan: And you'll see that the rate of rent which is paid each year increases by generally around 3.5, 4%, per annum. Alex Whitlock: And it's usually sort of a 3-5 year, five years is pretty common, in terms of a lease agreement, isn't it, for a? Phil Ryan: Yes. Well, anywhere from 5-10 years, sometimes 15 years. But it just depends on the style of property and nature of the tenant. But the property trusts which we put together usually have a five or six year horizon. And in that period of time, you hope to see some property growth. And also, our primary aim, though, is to deliver constant income to investors. One fund we've got, which is the Ravenhall property trust, down in Melbourne, we just had revalued. It's gone up 30% over the last three years. That's not the primary reason why we bought it; we bought it because of its strong income flow. So we have a number of listed property tenants who lease that property, and altogether, we're providing a return to investors of over 8% per annum on that property as well. Phil Ryan: 1998, actually, so it's got a little bit of history. Alex Whitlock: Okay. So, bit of a, sort of digress for a second. You're a lawyer by trade? Alex Whitlock: Yeah. So, what sort of took you into this particular path of investment, from being a legal practitioner? David Stratford: Far out, no way. Alex Whitlock: Have you still got them? Phil Ryan: Not those particular shares, they were taken over. But, so, I was lucky, because I started saving money at a young age. But then, in grade 10, in 1975, we -- it was after Cyclone Tracy, after the Brisbane floods. We had a teacher who introduced us to the share market, at the end of year exams, and per chance, I bought some insurance company shares, because they were the cheapest around that I could see. Thankfully, they didn't go broke, and actually did well over the next few years. I started buying those, and from there, I started buying more recovery-style stocks. Made money, lost money. Worst investment decision was about 1978, when I bought Associate Securities Limited, on the basis of Reg Ansett being a major shareholder in that. That company went broke, so that was a bad experience. But what I'm trying to highlight is, that through your investment journey, you do make good decisions, you make bad decisions. You have to accept the losses, and you have to put that as part of your overall education. The key is to try and do that when you're young. So, when I did that, I was interested in law. I was also interested in investing, and when I did my law degree, I did a graduate diploma course, which is now the FINSIA course, which is Financial Services Institute of Australia. Phil Ryan: So, I was actually interested in both areas. One to be a lawyer, the second one to be a share broker. Unfortunately, you can't be both, so ... In the beginning, I went and actually became lawyer, so I practised in the area of tax law, commercial law. Became a partner in a law firm, and I was a partner there for 20 years, a well-known Brisbane law firm. We started doing property syndicates in about 1998, and we formed a responsible entity, which is the particular licence which you needed to offer those style of securities to the public. And the first properties we bought were really quite small. One was a motel in Brisbane, and the other was a medical centre on the north side of Brisbane. And paradoxically, the motel, which I'd think would ordinarily be the higher-risk style of investment, actually worked out to be the better investment out of the two. And that was really the foundation of what led to Trilogy. In 2004, we were a small business, and we were seeking extra capital. 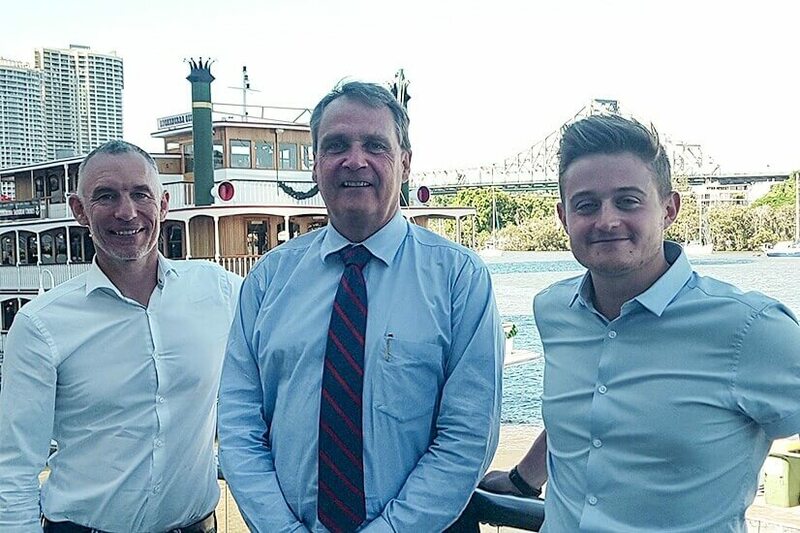 And again, per chance, we met up with fellows from Sydney -- Rodger Bacon, John Barry, and David Hogan -- who were then executive directors of Challenger Financial, one of Australia's largest financial companies. In 2004, that company ended up being bought by interests associated with Carey Packer. Rodger, John, and David went home to their wives, and their wives said, "You're too young to retire. You'd better get back into the world." David Stratford: "Back out there." Just didn't want them in there the whole time, got bored of them. Phil Ryan: So, what ended up happening is that, through a mutual contact, we had a marriage. And we had the licences, we had a Brisbane office. They had a Sydney office. And that really formed the foundation of what Trilogy is today. And from there, we've gone on to prepare and run all those other products that we have today. Alex Whitlock: That's a great story. Particularly -- and without getting bogged down in other areas, but I just think, such a valuable ... Having discipline at an early age, setting financial goals, and starting to develop those financial muscles at such an early age, is such a valuable thing. And I think there's a lot of young people now who still do that, but there are so many more distractions, financially, for young people. And one of the reasons why we established Nest Egg in the first place is to help young people -- or people of all ages, really -- develop better financial tools. But that's a fantastic story there, Phil. Just in terms of -- again, just to give our listeners a bit of an insight as to who can get involved in trusts -- what are sort of the thresholds in terms of minimum investment, so ... How much do you need to get in? Phil Ryan: Yeah. Look, we ... They're registered for retail-style clients, so people need to invest in our mortgage fund, a minimum of $10,000. To invest in our Trilogy Enhanced Cash product, it's actually only a minimum of $1,000. And to invest in property syndicates, it's around $20,000. Alex Whitlock: That's pretty solid. Just, something that I think that investors and investment managers don't necessarily like to talk about: what can go wrong, in terms of investing in trusts? For you, what are the, sort of, your fears, and the things that you and your team avoid? What are the threats in terms of risk, and then also, the other side of that, what are the potential returns? Phil Ryan: Yes. Good question. Like all investments, there's always an element of risk. I mean, in our property trusts, the big issue for us is focusing on the tenant. Phil Ryan: If you have a loss, or failure, of a tenant, that will have a grave impact on commercial property. You compare that to residential: if you lose a tenant, chances are you can go out and get another one. Alex Whitlock: Yeah, it's quick turnaround. Phil Ryan: And the other thing is, of course, your house doesn't necessarily have a big drop in value because you happen to lose a tenant. That's different in commercial property. So, the key feature in terms of trying to identify commercial property, is actually getting comfort around either the, well, both the tenure of the tenant, but also the quality of the tenant, as well. Phil Ryan: The other thing is, in terms of commercial property and risks associated with it, you've also got to look at effective potential interest rate rises on yields. At the moment, we're in a very benign interest rate environment, and the view is that that will continue through next year. And benign interest rate environments, where official cash rate's 1.5%, are good for commercial property. But of course, like all markets, if interest rates rise significantly, that could have an adverse effect on the yield back to the investors. You look at most of our property trusts, they're currently paying a rate of return of 8% per annum. But that's, part of the benefit of that is through lower interest rate environment. In terms of mortgage trusts, again there's always risks associated with mortgage trusts. We try to minimise our risks through diversification. Alex Whitlock: And due diligence of looking at the projects. Phil Ryan: Absolutely. Every project has to be assessed. We meet and look at every loan on our books every week, and we go through the whole list. So we have, we're fortunate in our business to have people on our lending committee who have a good cross-section of skills. So, aside from me as a lawyer, we've got accountants, we've got, one of our young lenders is actually a valuer, a qualified loan valuer. Other people on our lending team are prior executive bankers, and we've also got a quantity surveyor. And we've also got David Hogan, who sits as chair of the credit committee, and he was previously executive director of Challenger International, looking after Challenger's international property. David Stratford: You've got one of everything. Phil Ryan: Yeah, that's right. David Stratford: And get an idea for where you think things are happening, and what's not happening. Phil Ryan: Yeah, yeah. And I appreciate that probably most of your listeners would be interested in the resi market, more than anything else. In terms of resi, I mean, that's been an interesting few years, particularly in Sydney and Melbourne, and more recently, Hobart, in terms of property growth. There's a few factors behind that. One, of course, is population growth. You look at Melbourne's population growth, it's just been phenomenal. That's added to its appeal, in terms of overseas people, and also interstate people going down there. You go back to the '90s, everyone was coming to Queensland. Phil Ryan: Now they're all going down to Victoria. So, they're not chasing the sun. David Stratford: They must be mad, I love it up here. Phil Ryan: So, that's symptomatic of general investment cycles in the resi property market. And I think that the thing that's been affecting Queensland has been lack of employment growth previously, and that's starting to change. If you look at the employment stats since July of this year, Queensland has actually led the way, ahead of other states. Phil Ryan: In terms of employment growth, so that's a big plus. The other thing is, is if you look at interstate migration, I said before, everyone was going down to Melbourne. Well, Queensland is starting to see a little tick up on the curve, only just over the last few months again. And I think that, personally, the things which will influence Queensland are employment growth, which we're starting to see, and also population growth. Of course, there's the other part of it, which is affordability, as well. Now, in terms of resi, of course, there's so many different parts to that equation. You've got the inner city apartments, you've got outer suburbs, houses and townhouses, et cetera. I think, for Brisbane next year, the inner city resi market will be tough. It was tough this year. It'll be tough again next year. We got very, very little exposure to the inner city market. But if you look at outside Brisbane CBD, towards inner suburbs, middle suburbs, and also outer areas -- such as Ipswich, Camira, Logan, et cetera -- those areas, I think, will do quite well next year. That'll be led by employment, but also it'll be led by continued low interest rates. And as I said before, I know that there's some outliers where people are saying interest rates will start rising next year. You look at the major banks -- I just read a Westpac report on it yesterday -- they think there will be no interest rate rises next year. David Stratford: I don't think so, either. Phil Ryan: That's right. It's unlike we'll see any before 2019. And after that, it becomes a little bit too hard to predict. David Stratford: Gives people more of a chance to experiment with things they can do. So, one thing we're trying to ... You had your resi, you have your commercial, and industrial was something which is completely new to me. So, I've never really spent too much time looking into that as an investor. But, I suppose, that's one of those other channels in property which is maybe overlooked as well. Phil Ryan: Yes, I haven't touched on that at all, have I? David Stratford: No, no. And there's probably a lot of people out there which are probably thinking, "Do you know what, I'm all over resi and commercial, but I have no idea what-"
Alex Whitlock: Yeah, I think industrial is the least visibility on what it is. David Stratford: It is, right? Yeah. Alex Whitlock: So, give us a bit of overview on that? Phil Ryan: Yeah, sure. And look, industrial, it's an interesting area. I mean, industrial, particularly in Queensland, has been a pretty difficult area for the last three years, post mining boom. So, in Queensland in particular, we're seeing regional towns which have suffered really adversely, in terms of lower commodity prices, and also closure of different mines. I mean, Queensland Nickel was one. And it's only recently where we've started to see an uptick in commodity prices, and as a result of that, we're seeing some mines reopening. We've got the situation with, if Adani goes through -- and that's always touch and go, but it always seems to be, at the end of the day, it seems to be giving a tick -- that will prove to be a big boon for those central Queensland economies. But notwithstanding that, just simply through lower Australian dollar, Aussie dollar is now in the $0.75s, compared to when it was $1.10 to the U.S., only a few years ago. So, just from that, we're seeing the uptick in commodity prices, we're seeing improvement on those regional centres. And we believe that it's a good counter buy, to buy now, at what we perceive is to be the bottom of the cycle. So, we've actually contracted to buy, as the first two assets in an industrial trust which we're putting together, two assets which are based in Mackay. Phil Ryan: And we anticipate that they will provide a good rate of return to investors. Now, obviously, it's got to be a higher than normal rate of return, because it is, there's an element of risk, in terms of location and the industry, et cetera. But at the end of the day, we believe that that return will offset that risk, will more than compensate that risk, which is gold. Alex Whitlock: One of the things I'd like just to get a bit of perspective on, I'm sure that our listeners would be interested to get a bit of visibility ... So, for the various different, for residential, for commercial, for industrial, do different pools suit different types of investors? Are there better risk or return associated with them, or how do they sort of differentiate themselves. Phil Ryan: Yes, that's a good question, Alex. You tend to find that people with a more short-term perspective are attracted to our income trust. Phil Ryan: So they'll be investors in the Trilogy Enhanced Cash, and also in the pooled mortgage fund. For those investors who have a longer-term perspective, they will invest in the commercial property sectory. So, they basically form different parts of a person's portfolio. Phil Ryan: One is income, and more liquid. The other one's more long-term, and I think people, when they're looking at a property trust, will be looking at that as a part of their property section in their whole portfolio. So, they'll have, typically, a exposure to shares, direct property, and property trusts, as well, as an overall picture. Whereas a mortgage trust, and also Enhanced Cash, is really set over here for more short-term style investments. Alex Whitlock: Okay. Go on. 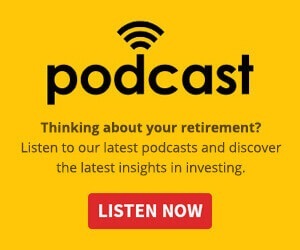 David Stratford: Yeah, so, one last question for me is, I think going back to that long-term investor, which is a huge part for the majority of our listeners out there, as well. What are the exit strategies, and when volatility comes and knocks on the door, how can they get themselves ready for that, if they're already in a long-term investment with, for example, the monthly income trust? Phil Ryan: Well, we'll look at two things there. One is the property trust, and a lot of people exit out of those. Generally, they're set up for around five or six year duration. So people are locked in during that period of time. We've got the power to defer that for a short period of time, if we just think that the economic situation is not appropriate, to sell at that time. Phil Ryan: You contrast that, though, to our prospective industrial trust, and one of the things I didn't quite finish on is that our first two assets in Mackay are really just the start of the portfolio. And the view that we have on this industrial property, the trust, is that it will have assets right across the eastern seaboard in Australia. And it will generate liquidity events throughout the course of that trust. So, while it may be liquid for the first four years, while the assets are built up, over a period of time we'll set in place provisions to get those assets revalued, and we will provide liquidity for investors to exit out of that. But, you know, that's the inherent issue with direct property trusts, is that they generally only have limited liquidity. Contrast that to mortgage trusts, and also TEC. Well, TEC -- which is Enhanced Cash, we can't help using acronyms in Trilogy -- that's got a seven-day liquidity event. Phil Ryan: And then our mortgage trusts, we generally have a four-month notice period for people to get out of. Now, that's dependent on just how much liquidity we have in the fund at any one time. For example, currently, the situation we've got, is we've got quite a lot of liquidity, and as a result, we're paying, if people want to withdraw, we can pay them out straight away. I've got to say that that's the current situation, technically, in the PDS, there's a four-month notice period which would otherwise kick in if we didn't have that liquidity. Phil Ryan: Bear in mind that with the mortgage trust, it is a pool trust, so the treasury function that we have, has to balance people going into the fund, people going away, exiting out of the fund. Also, drawdowns for people to get advances on their property projects, and also repayments of loans, when they come back into the fund. So there's a lot of dynamics which operate in that particular area. Alex Whitlock: Phil, it's been fascinating catching up with you. You've given us a great deal of your time, and also I think given a lot of visibility in some areas of investment that I think a lot of our listeners probably haven't had the chance to get involved with. You've also invited us up to sunny Brisbane. Alex Whitlock: It's a wonderful day, yeah. David Stratford: Got my thongs and boardies on right now. Phil, once again, thank you for your time. Dave, it's been great catching up. David Stratford: Yeah, good stuff, thanks Phil. Appreciate your time. Phil Ryan: Thank you. Thanks, Alex and Dave, that's great. This podcast contains the opinions and views of directors and responsible managers of Trilogy Funds Management Limited (ACN 080 383 679), the responsible entity of several registered managed investment schemes and the holder of Australian financial services licence number 261425. This podcast contains general financial product advice which has been prepared without taking account your objectives, financial situation or needs. You should consult a licensed advisor who can provide you with personal advice based on your circumstances and you should obtain the relevant product disclosure statement (PDS) for the financial product mentioned in this podcast available at www.trilogyfunds.com.au or by contacting Trilogy Funds on 1800 230 099. The PDS contains full details of the terms and conditions of the relevant financial product and you should read it and consider it before making any decision about whether to acquire the financial product or make any investments.